He may be out of the running but these quotes still resonate. The man, the myth, the legend — Bernie Sanders has ignited a national conversation about what it truly means to be equipped to lead this country. Eloquent and wise, his words drill their way into our hearts and minds. The race isn't over, and he may be out, but here are some of the best Bernie quotes to carry us through. 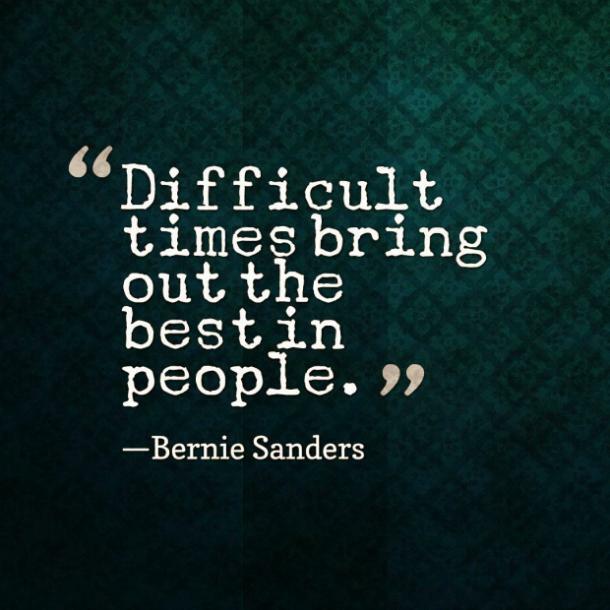 "Difficult times bring out the best in people." 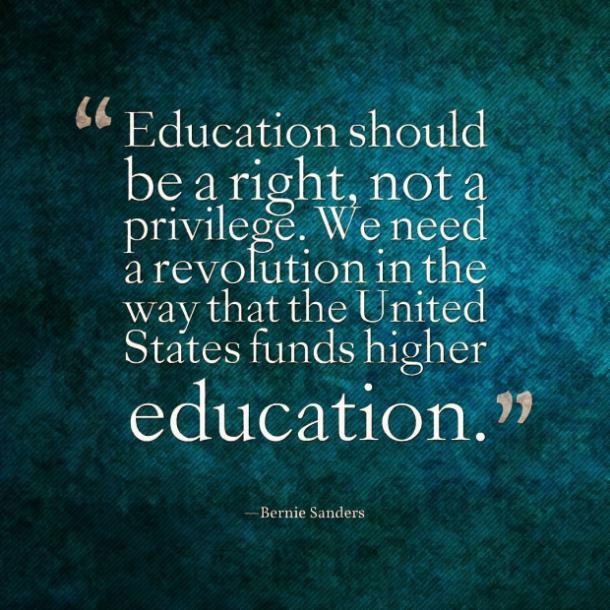 We hope you're right, Bernie. "Finally, let us understand that when we stand together, we will always win. When men and women stand for justice, we win. 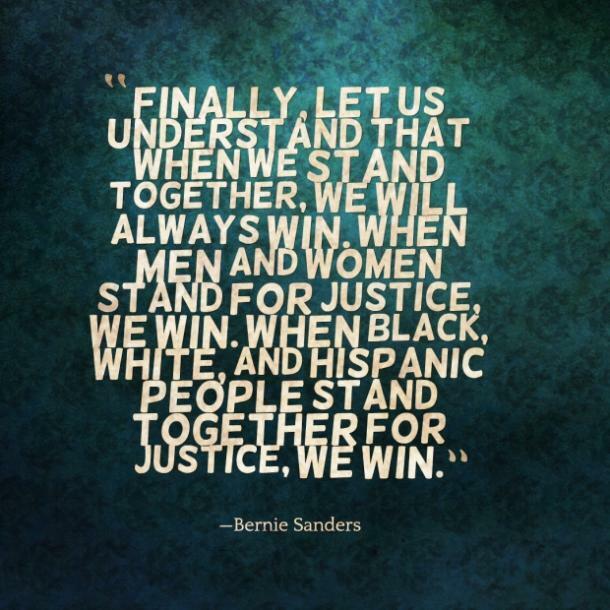 When black, white, and Hispanic people stand together for justice, we win." 3. "If a financial institution is too big to fail, it is too big to exist." 4. "What the American people want to see in their president is somebody who not necessarily can win every fight, but they want to see him stand up and fight for what he believes, take his case to the American people." Wait a second, you mean we actually have a voice? "Education should be a right, not a privilege. We need a revolution in the way that the United States funds higher education." This would be one revolution of many that the the United States needs to undergo. 6. "I think the secretary is right, and that is that the American people are sick and tired of hearing about your damn emails." The most replayed quote of the first Democratic debate, these words showcase yet another trait we admire in Bernie: straightforward honesty. 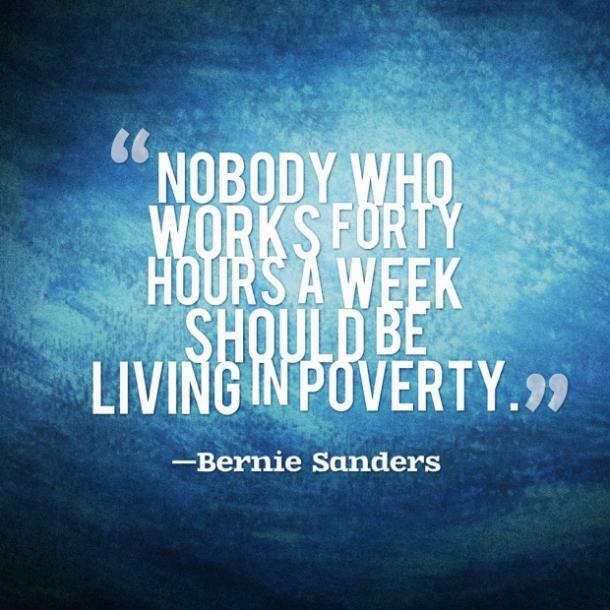 "Nobody who works forty hours a week should be living in poverty." Well, I think we can all agree on that one. 8. "I believe in a society where all people do well. Not just a handful of billionaires." 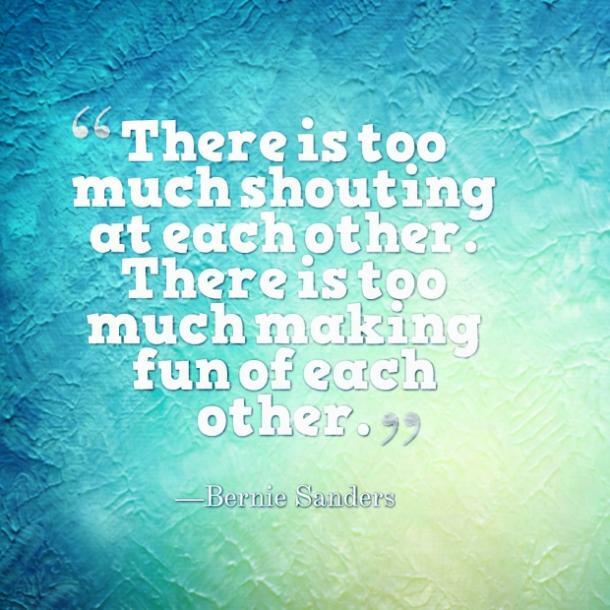 "There is too much shouting at each other. There is too much making fun of each other." Let's just all get along like adults in the face of political polarization. 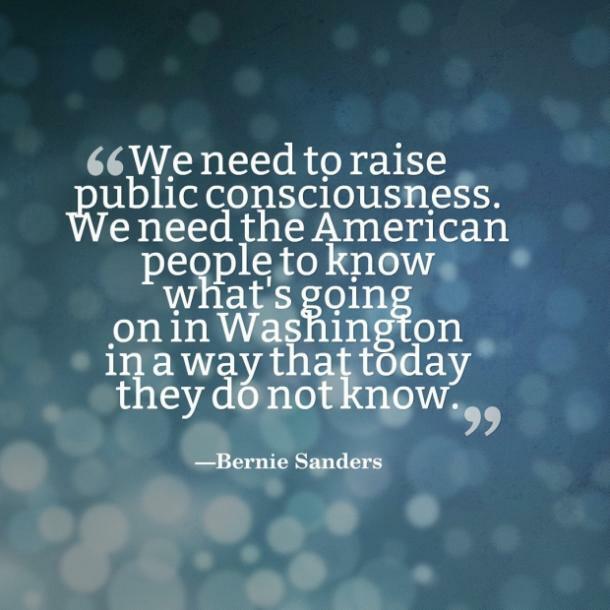 "We need to raise public consciousness. We need the American people to know what's going on in Washington in a way that today they do not know." So, you're saying that we should know what's happening with our government? What a novel concept. 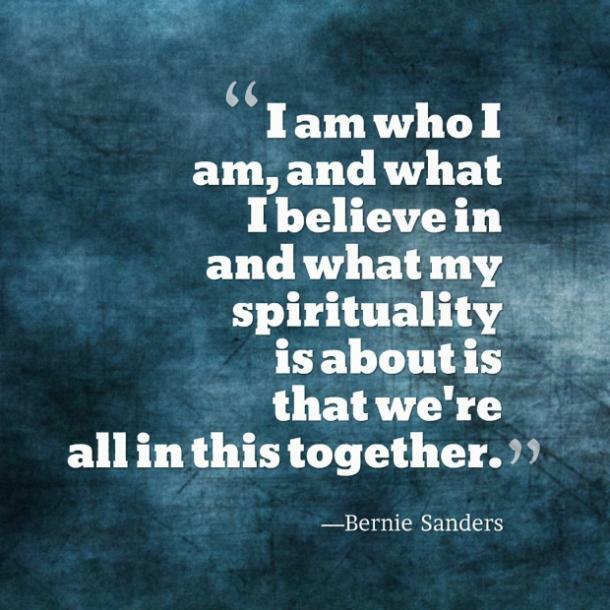 "I am who I am, and what I believe in and what my spirituality is about is that we're all in this together." A case where logic trumps religion.